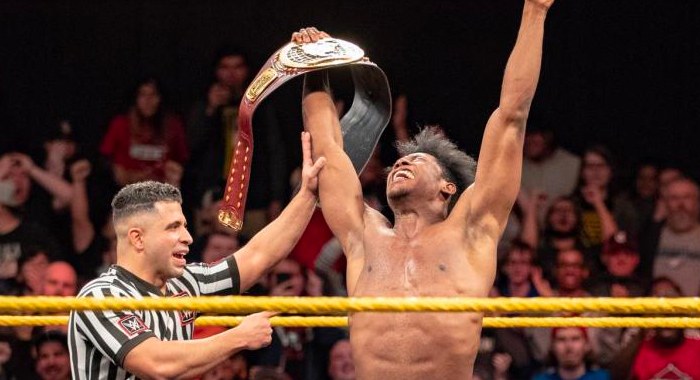 One of WWE’s main roster stars has made it clear that they want a shot at Velveteen Dream’s NXT North American Title in the near future. Former NXT Superstar, Tyler Breeze tweeted that he wants an NXT North American Championship match, hinting at a return to Full Sail. It has been rumored that certain talents may be moved back to WWE NXT, with Breeze being one of the names often associated with that possibility. Breeze did return to NXT last year for a one-off match against former champion, Ricochet.